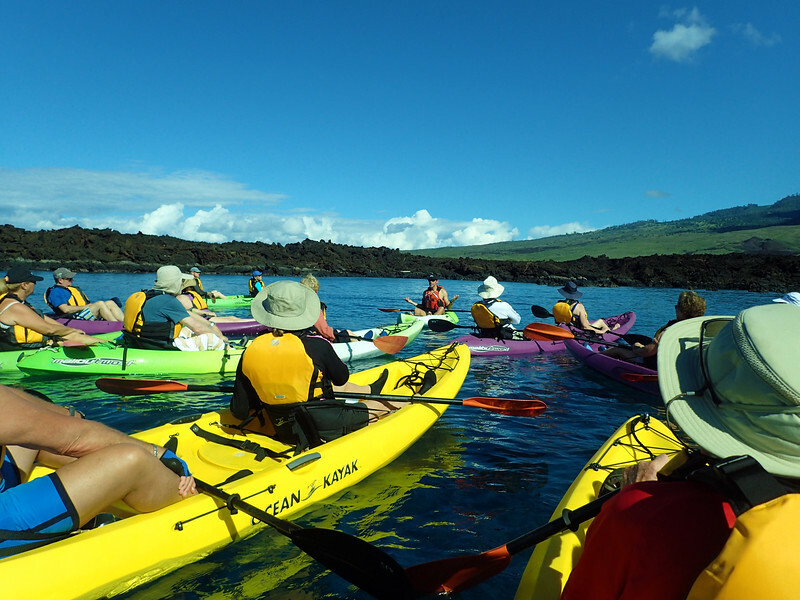 Our visit to Maui begins with a morning kayak tour along the rugged coastline of the island’s south shore. Before lunch, passengers and crew have a delightful time jumping off the deck into the warm sea water below. Our afternoon activity is a visit to Lahaina, once a wintering port for the whaling fleets of the Pacific, and now a booming tourist destination, filled with endless shopping opportunities as well as historical sites and parks. Highlight of this visit is the opportunity to snorkel with Hawaiian green sea turtles at Mala Pier and to view the majestic humpback whales as they breech and cavort off Maui’s coast.